Agricultural Aviation, the official publication of the National Agricultural Aviation Association, is published four times per year. NAAA members automatically receive a complimentary subscription with their membership; however. 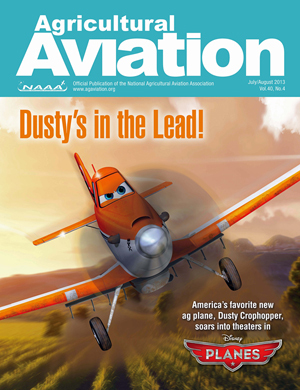 Even if you are not a member of NAAA, however, you can still subscribe to receive Agriculture Aviation. It's as easy as 1-2-3! Complete the printable subscription form, print it out, and fax or mail it in. For assistance, please call (202) 546-5722.